Games with a Purpose: Sal worked on the development of Dizeez and GenESP and the data analysis for The Cure– all of which are games that seek to crowdsource gene-disease associations. Integrative Analysis and Modeling of epigenetic, genetic, and transcriptional data VDJ immunoglobin (Ig) gene segments. In a collaborative effort with Dr. Ann Feeney, Sal analyzed data generated by the Feeney lab in order to create new models and new hypotheses for the Feeney lab to test. Network-Augmented Genomic Analysis (NAGA) – Sal developed the NAGA methodology in order to discover and prioritize pathway proteins by combining information from Dr. Bill Balch’s RNAi functional screening data and protein interaction data from mass spectrometry. In his collaboration with Dr. Bill Balch, Sal developed this approach to identify many new regulators of CFTR processing. 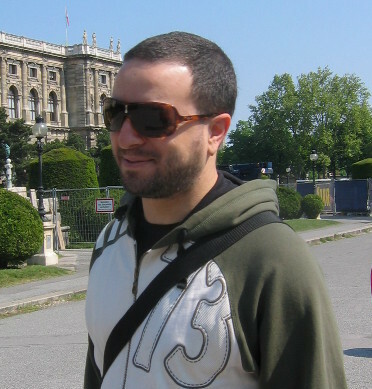 Sal’s accomplishments in Su lab and Su lab/collaborator projects can be seen by his impressive publication list, including his work on Gene Wiki plus. Good BM, Clarke E, Loguercio S, Su AI: Building a biomedical semantic network in Wikipedia with Semantic Wiki Links. Database. 2012 Biocuration Virtual Issue (in press). Good BM, Clarke E, Loguercio S, Su AI: Linking genes to diseases with a SNPedia-Gene Wiki mashup. Journal of Biomedical Semantics 2012 (in press). Loguercio S, Overall RW, Michaelson JJ, Wiltshire T, Pletcher MT, Miller BH, Walker JR, Kempermann G, Su AI, Beyer A: Integrative analysis of low- and high-resolution eQTL. PLoS One, 2010. Michaelson JJ, Loguercio S, Beyer A: Detection and interpretation of expression quantitative trait loci (eQTL). Methods, 2009. Loguercio S, Dian C, Flagiello A, Scannella A, Pucci P, Terradot L, Zagari A: In HspA from Helicobacter pylori vicinal disulfide bridges are a key determinant of domain B structure. FEBS Letters, 2008. Berisio R*, Loguercio S*, De Simone A, Zagari A and Vitagliano L: Polyproline helices in protein structures: A statistical survey. Protein and Peptide Letters, 2006. Ph.D., Molecular Physiology and Structural Biology, University of Padua, Italy. BA, Chemistry, University of Naples Federico II, Italy.